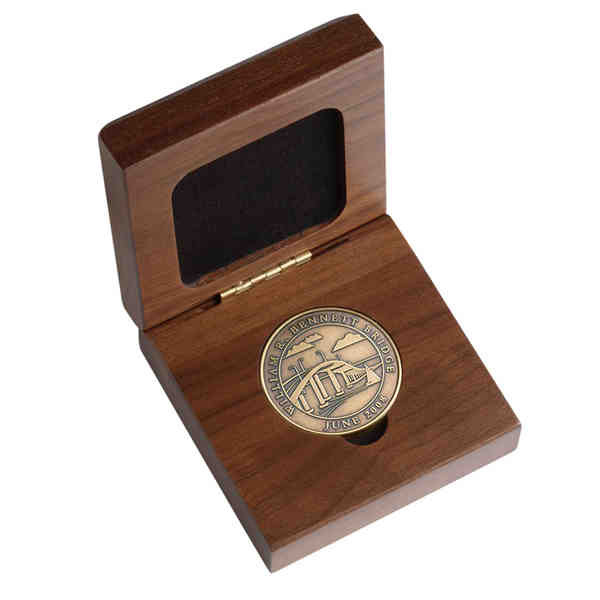 Size: 4 " x 4 " - Custom made in the United States, these handsome walnut boxes will compliment any coin. This exquisite presentation box is perfect for donor gifts, commemorative occasions and high profile executives. Available for coin sizes 39mm (1.54") up to 3". All boxes come with white tuck end outer cartons. Ship Weight:Freight carrier is at supplier's discretion unless otherwise specified.